One of my favorite things to eat is risotto. When I learned that Brio Tuscan Grille was introducing two new delicious risotto dishes, I couldn’t wait to plan dinner at Brio with the family. 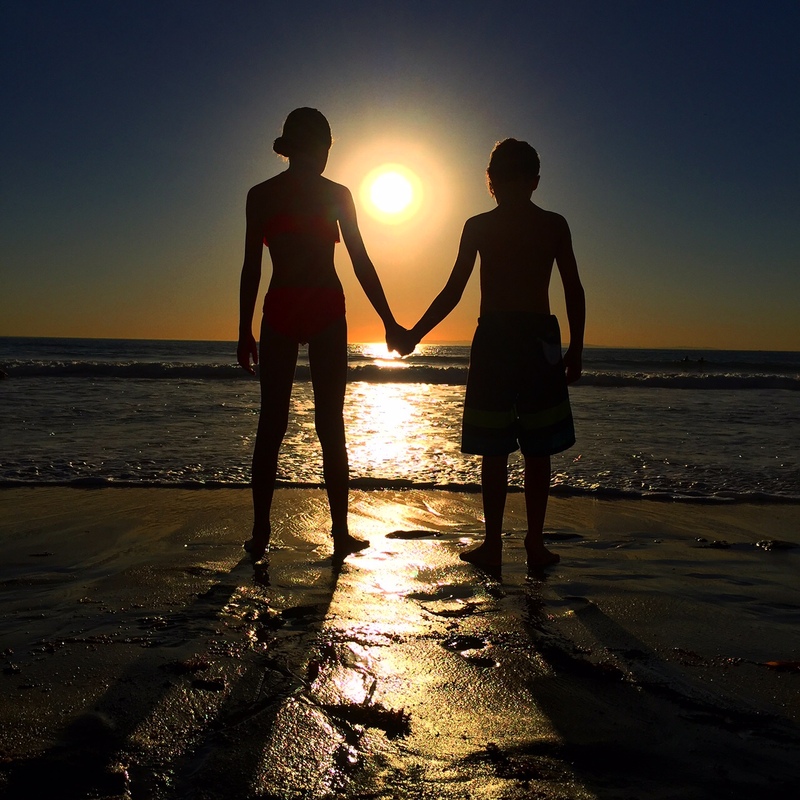 We dined on a Sunday evening after a fun weekend exploring Orange County together as a family. The kids were relaxed in the family-friendly environment and enjoyed coloring on the “paper tablecloth” while waiting for our dinner to arrive. 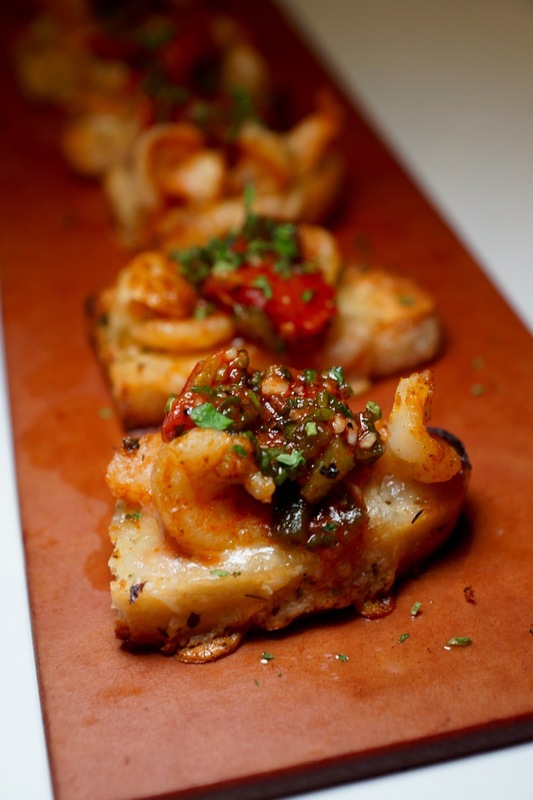 Dinner began with a spicy shrimp bruschetta with housemade lobster butter sauce, fontina cheese, and charred tomato relish. The bruschetta came beautifully presented on a long wood tray and cut into bite size portions. I was expecting the bruschetta to be very spicy, but it was just right. The spice wasn’t too overbearing, and even my daughter enjoyed the flavor combination. 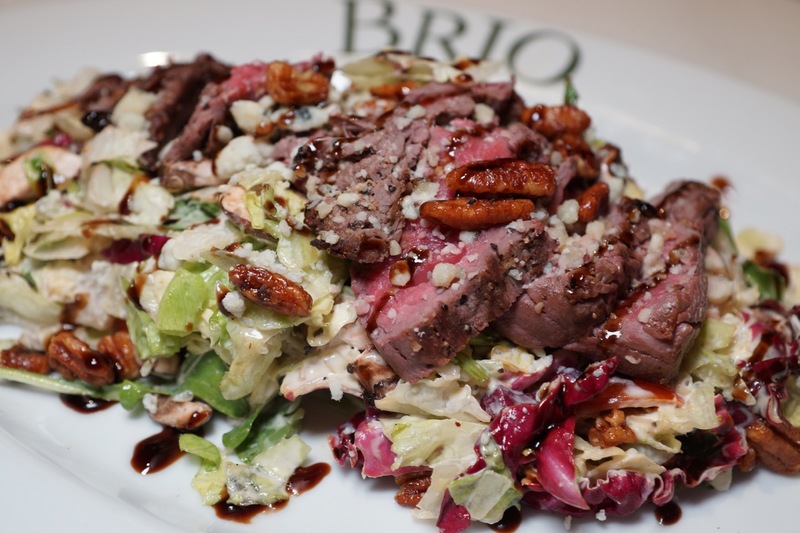 Next we shared the Brio steak salad. The salad was large enough for all of us to share and featured tricolore lettuce, tomatoes, gorgonzola, mushrooms, spicy pecans, creamy horseradish, grilled tenderloin, and a balsamic glaze. The salad is one of our favorite things to begin our meal at Brio Tuscan Grille and has a wonderful flavor profile. Finally, it was time to try the new risotto dishes. 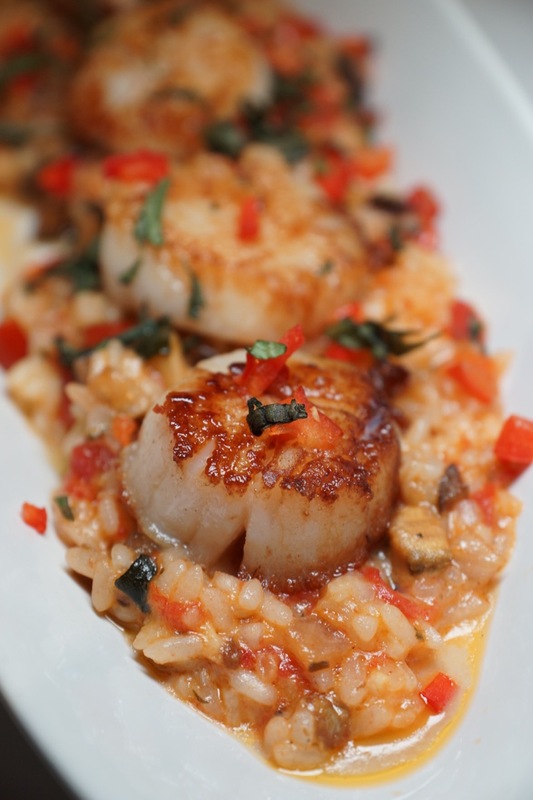 Our taste buds were tantalized with every bite of the sea scallops and ratatouille risotto. The risotto was cooked to perfection and blended with roasted eggplant, red peppers, zucchini, tomato compote, basil, and Reggiano. On top of the risotto, was a row of perfectly seasoned seared sea scallops. Then came my favorite dish of all-time at Brio Tuscan Grille, the cold water lobster tail with shrimp risotto. 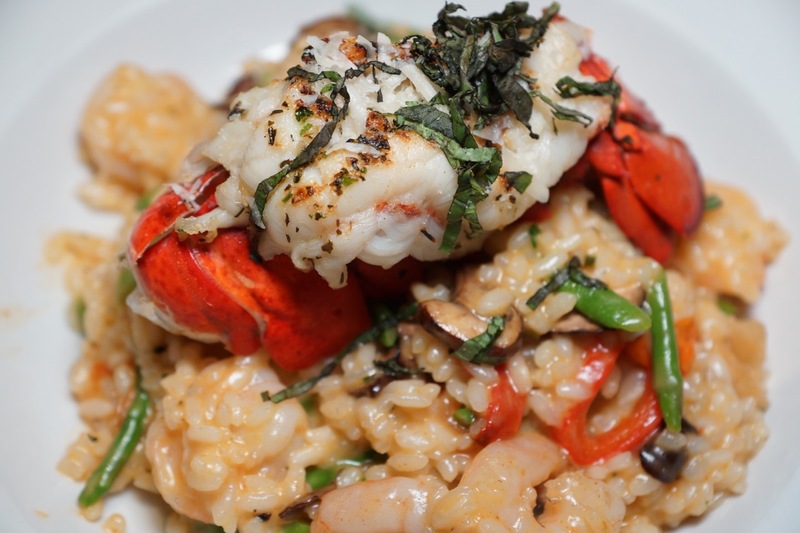 The risotto featured shrimp, mushrooms, roasted red peppers, asparagus, basil, and parmesan. It was then topped with a beautifully presented broiled Maine lobster tail. I savored every bite of this dish and cannot wait to return for more. While my husband and I enjoyed the delicious risottos, our children shared one of their hand tossed pizzas. 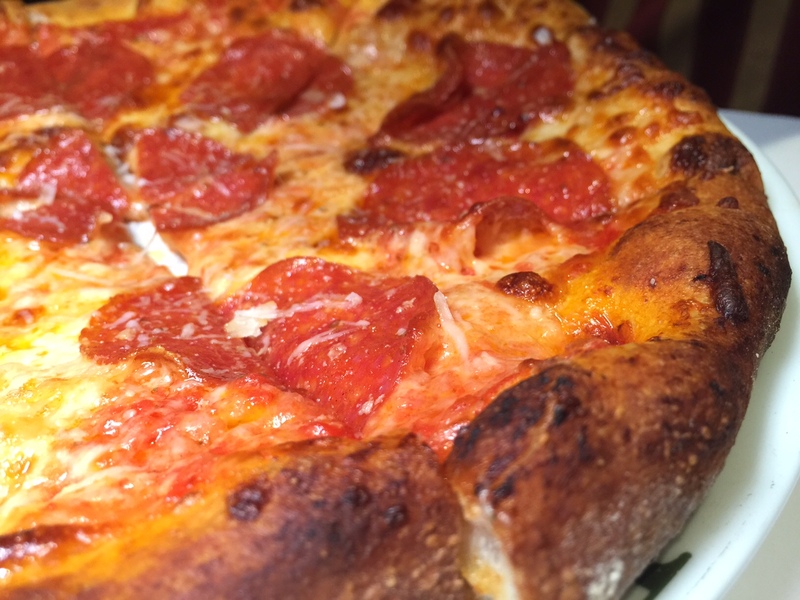 Guests can see the wood fire burning oven from the dining room where all the pizzas are made fresh to order. 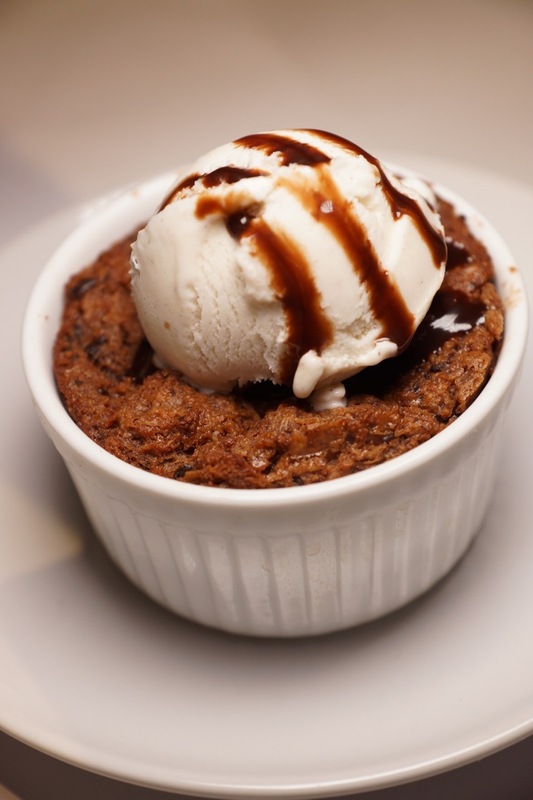 Dinner ended wonderfully with the warm chocolate bread pudding dolchino. The dessert was sweet, delicious, and brought smiles to my kids faces. Don’t miss visiting Brio Tuscan Grille with your family to have an unforgettable dining experience together while savoring delicious cuisine. Brio Tuscan Grille is located at the Irvine Spectrum Center.